The Managing Lawyer, with whom I work, has just become a father for the first time. Yesterday his wife, Sheree, had a precious little baby girl. They have called her Caitlin Grace. What a beautiful name for such a ‘so longed for baby’. 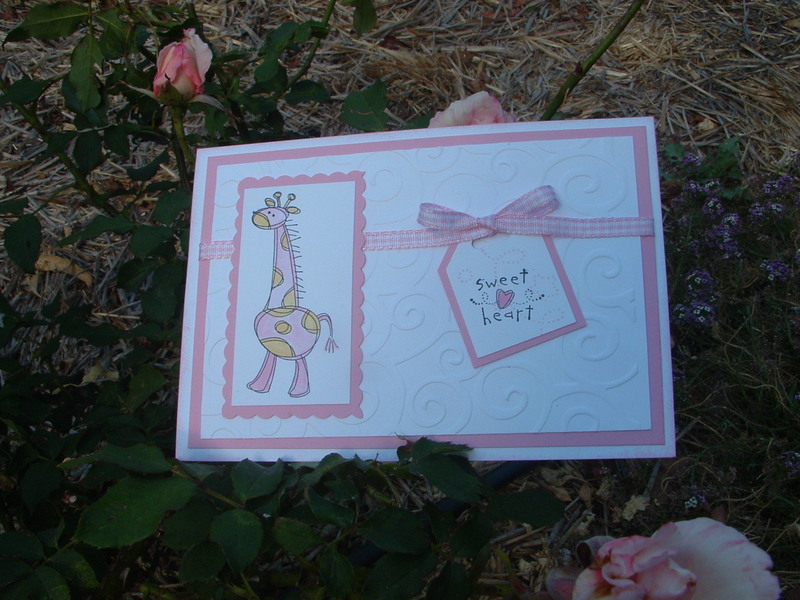 In lieu of flowers, as I know they have so many people who will have probably arrived at the hospital with the Sydney Botanical Gardens almost…..I decided a set of these gorgeous birth-announcement cards would be a cute gift. 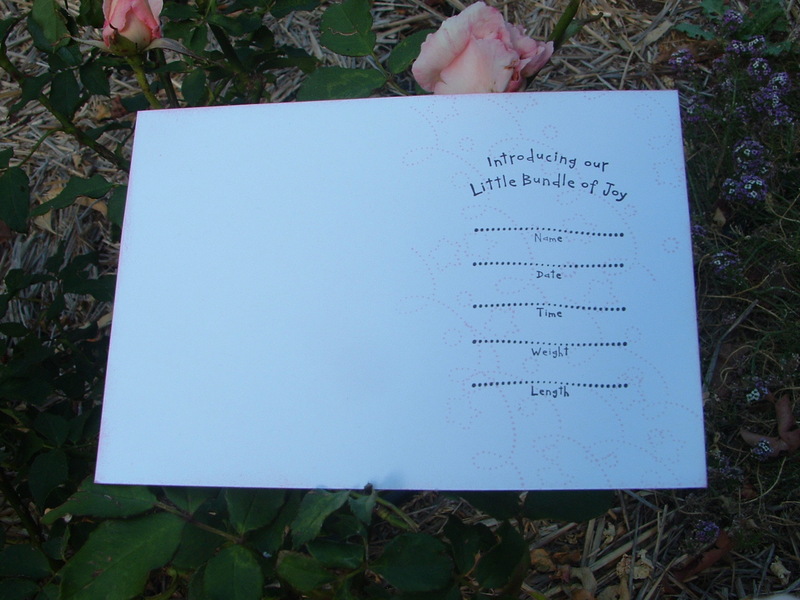 The stamp set is called Bundle of Joy a set of 7 individual stamps for $45.95. The giraffe has been watercoloured using the stamp pads and an aqua pen and I used my Cuttlebug to do the embossing on the whisper white card. Pretty in Pink gingham ribbon, both small and large tag punches, horizontal slot punch. It’s difficult to see but I have stamped the ‘flourish’ that comes with this set in the pretty in pink over the announcement stamp. It’s a great gift to the ‘over the moon’ couple to announce the arrival of a very special and much loved already, little girl. Very nice!! Loving your blog and so good to see you keeping it up to date!! You are a very smart lady,’YOU MAKE ME HAPPY” Looking at your wonderful stamping.